Soon, Hallie is tumbling through the turbulent past and future Paris, making friends, changing the world -- and falling in love. E. J. 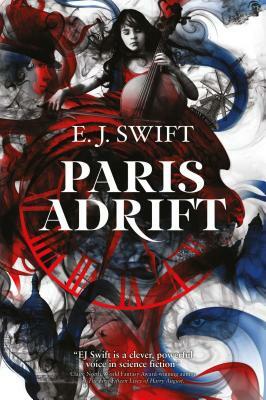 Swift is the author of the Osiris Project trilogy (Osiris, Cataveiro and Tamaruq), a speculative fiction series set in a world radically altered by climate change. Her short fiction has been nominated for the Sunday Times EFG Short Story Award ("The Spiders of Stockholm") and the BSFA award for short fiction ("Saga's Children"), and has appeared in a variety of publications from Solaris, Salt Publishing, NewCon Press and Jurassic London. Swift also contributed to Strata - an interactive digital project by Penguin Random House.